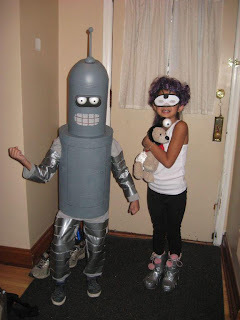 Life Candy: Halloween 2011: Futurama Style. I'd write something about this, but I'm exhausted. And still covered in duct tape, spray paint, and glue gun crap. Maybe tomorrow. Enjoy! Yes, I voted for you.